205 Live’s General Manager, Drake Maverick, introduces us to this week’s show in a pre-recorded video. The chaos from last week, where Drew Gulak and his gang ambushed Akira Tozawa’s match, sees Brian Kendrick face Tozawa’s wrath tonight. And with scores not yet settled between the two teams, Buddy Murphy vs Kalisto is the main event. This particular bout is a rematch of a classic that took place some months ago. I am positively giddy with excitement for what could be in store! Percy Watson and Nigel McGuinness join Vic Joseph on commentary this week. Brian Kendrick’s music plays. He slowly approaches the ring with his partner, Jack Gallagher. Both men have microphones in hand. After bashing Toronto, Kendrick advises Tozawa that he should have taken his beating last week and left it at that, rather than ask Drake Maverick for revenge this week. He may have wanted retribution, but Kendrick warns that all he’ll get is pain and suffering. Once Tozawa enters the ring for the match to start, Kendrick rolls out to ringside and hides behind Gallagher. The Englishman ducks a forearm, which eventually ends up landing on Kendrick’s face. Gallagher experiences the same fate when he realizes what’s just occurred. Tozawa seems to have his opponent’s number early on. The dominance doesn’t last long back in the ring, however, as a distraction from Gallagher allows Kendrick to bulldoze Tozawa from the apron. Gallagher feigns ignorance as Kendrick begins his assault. Worn down by a rear chin lock, Tozawa’s mettle is quickly put to the test in the form of Kendrick’s Captain’s Hook finisher. The realization that the match could be over sends Tozawa into a frantic comeback as he fights out from Kendrick’s grasp, and proceeds to take control over both Kendrick and Gallagher with his greatest hits, including the diving missile headbutt through the ropes. Tozawa rolls Kendrick into the ring and focuses solely on Kendrick’s knee, first by wrapping his leg around the corner post, then pouring a series of strikes onto the injured limb. This is a different game plan than we are used to from Tozawa. I’ve mentioned before that simply going for his signature moves and finishing with his top rope senton haven’t been effective. Perhaps Tozawa knew this also. With his attention on Kendrick’s knee for a sizable portion of the match, Kendrick is fairly immobile come the time for Tozawa’s finishing move. Without any interference from Gallagher, Tozawa smashes into Kendrick. The referee counts to three for Tozawa’s first victory for as long as I can remember. Good for him! Vic Joseph introduces us to footage of Tony Nese defeating Kalisto on 205 Live three weeks ago (thanks to some outside help from Buddy Murphy), followed by highlights of last week’s incredible Tornado Tag Team match between Nese & Murphy, and Lince Dorado and Gran Metalik. The Lucha House Party won this thanks to some inadvertent distraction by non-competitor Kalisto. Kayla Braxton is backstage interviewing Murphy and Nese. 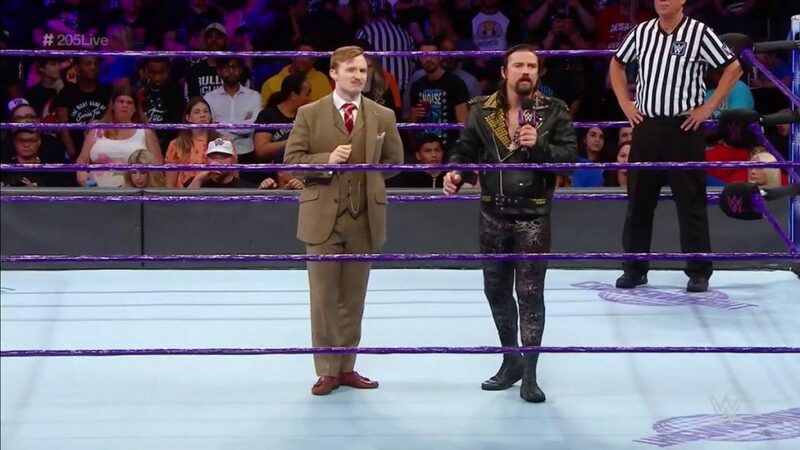 Murphy says that he will send a message to the entire 205 Live Roster tonight as he deals with this thorn in his side. Nese agrees in a few words, and both walk off screen. Toronto native Michael Blaise is gifted a warm welcome by the home crowd tonight, but I fear for his well being over the next few minutes. 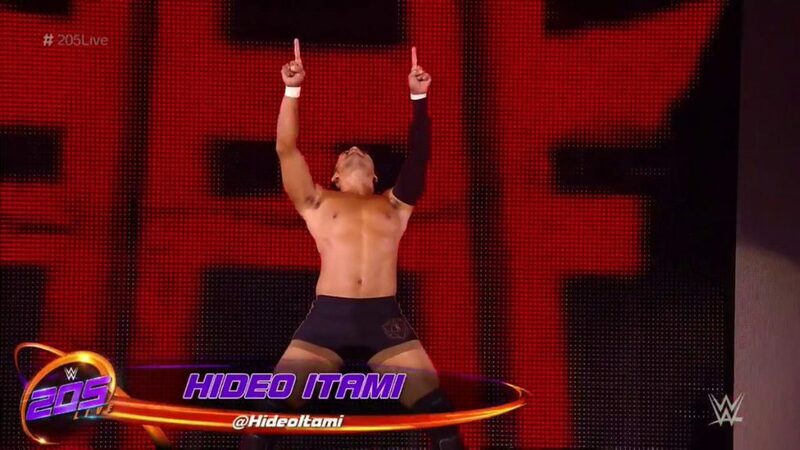 Hideo Itami has become a very dangerous entity on 205 Live, and I don’t see him offering any respect in this bout. A Twitter video from Itami has him feeling bad for hurting Mustafa Ali. He laughs through this, of course, finishing with him wishing he’d “hurt Ali worse”. Good luck, Michael Blaise! Poor Blaise eats a big boot from Itami before the reverberations of the timekeeper bell have rung out. Itami drags him over the opposite corner and lays waste to his opponent. Blaise lands some punches, but this only angers Itami, whose own strikes are landed with more force. Blaise again manages some offense in the form of varying kicks and knees. As he runs the ropes, however, he rebounds back into a massive lariat. Itami looks to win the match with a Falcon Arrow, but he lifts Blaise’s head before the referee counts to three. He repeats this insult after a modified Codebreaker. Itami then lands two hesitation dropkicks on Blaise. He looks for a third, but Mustafa Ali’s music plays, and out comes the Heart of 205 Live! Itami swiftly exits the ring and leaves through the crowd. Ali, in street clothes, calls Itami a coward repeatedly from the turnbuckle. Like last week, this is another innovative use of the “squash match” in the middle of the show. It’s always great to see Ali on 205 Live, but his inability to ever get one up on Itami is something that he will want to change. I’m looking forward to seeing how this feud escalates. A video comes up next of Drew Gulak & Co’s interruption of Akira Tozawa’s match against Colin Delaney last week, with Gulak demanding a rematch with Cruiserweight Champion, Cedric Alexander. The champion recounts this incident in a selfie video, saying that Gulak exposed himself last week when he backed away from a fight. Alexander challenges Gulak to come out next week and put his money where his mouth is. In my own humble opinion, Buddy Murphy gave Kalisto his best ever WWE match. If this match is half as good as their previous encounter, then we are in for a treat tonight, let me assure you! Admittedly, the dynamic will be different tonight, as both men are joined at ringside by their tag team partners. 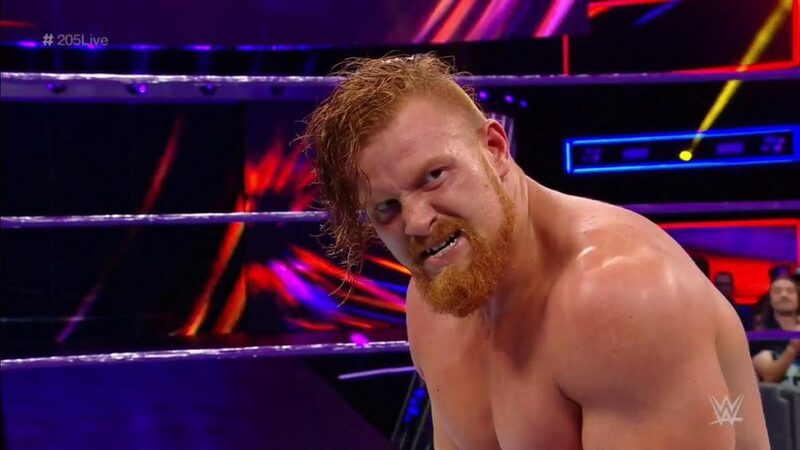 A “Buddy Murphy” chant is heard in the crowd, as the Juggernaut of 205 Live’s strength dominates in the early portions. Kalisto gives his own in the initial test of strength, however, as his luchador experience brings both men up to the top rope, allowing him to send Murphy flying to the opposite corner and skidding out through the bottom rope after an elevated hurricanrana. Kalisto looks to capitalize with a somersault but is stopped in his tracks with Nese blocking Murphy. This doesn’t phase Kalisto however, who runs the ropes again and dives onto both of them anyway. I struggle to get behind Kalisto most of the time, but Murphy seems to bring the best out in him personally. His confidence is high as he hits Murphy with more cruiser oriented offense. He jumps off the apron to attempt a tornado DDT onto the floor, but Murphy catches Kalisto off guard, slamming him to the floor by way of a running suplex. This devastating move has Dorado and Metalik check on their stablemate. Murphy “moves” them out the way to continue his assault. Understandably, Metalik and Dorado are upset with this. Their protestations are heated enough for the referee to ban them from ringside. Murphy and Nese now have Kalisto all to themselves…. The luchador dodges an incoming punt and wriggles his way onto Murphy’s back with a sleeper. The stronger Murphy, however, throws Kalisto off his back and lands a face crushing knee. Kalisto once again starts a comeback. He runs the ropes, but Nese grabs his foot, allowing Murphy to reassert his dominance with a vicious clothesline. The referee spots the infringement. He now sends Nese to the back, leveling the playing field outright. Kalisto is caught mid-air again trying a tornado DDT, but Kalisto wriggles free once again, smashing Murphy to the floor with first a reverse-rana and then a basement ‘rana. A close two-count from the referee has the crowd on Kalisto’s side. Murphy then rushes Kalisto in the corner, but the Australian eats a superkick. The exhausted pair crawl out onto the apron. Kalisto looks to continue his momentum, but Murphy literally launches Kalisto off the apron, his head snapping off the commentary table. The Juggernaut toys with both Kalisto and the referee’s ten-count. His cockiness gets the better of him as Kalisto up-ends him over the timekeeper’s barrier. With Murphy now fighting to beat the ten-count, he dashes into the ring. Again, however, Kalisto lands a basement ‘rana for another close two-count. Kalisto takes to the skies, but Murphy catches him and locks in a powerbomb pin. He lifts Kalisto up before a three-count can commence, and floors his opponent with a sit-down powerbomb. Kalisto kicks out of this pin-attempt at the last second. “205” chants ring out from the crowd. After a brief scuffle, the Australian locks in his “Murphy’s Law” finisher. Another classic match-up that both men would be proud to add to their catalog. The inclusion, and eventual omission, of all team members, added to the drama. But leaving the two opponents out there on their own was the right call, as they were able to remind 205 Live viewers that there is a wealth of talent up and down the roster. If you want to here more free-flowing thoughts on 205 Live, make sure to check out “Perfect 10 Wrestling” this week with Lords of Pain Radio’s very own “Implications”! 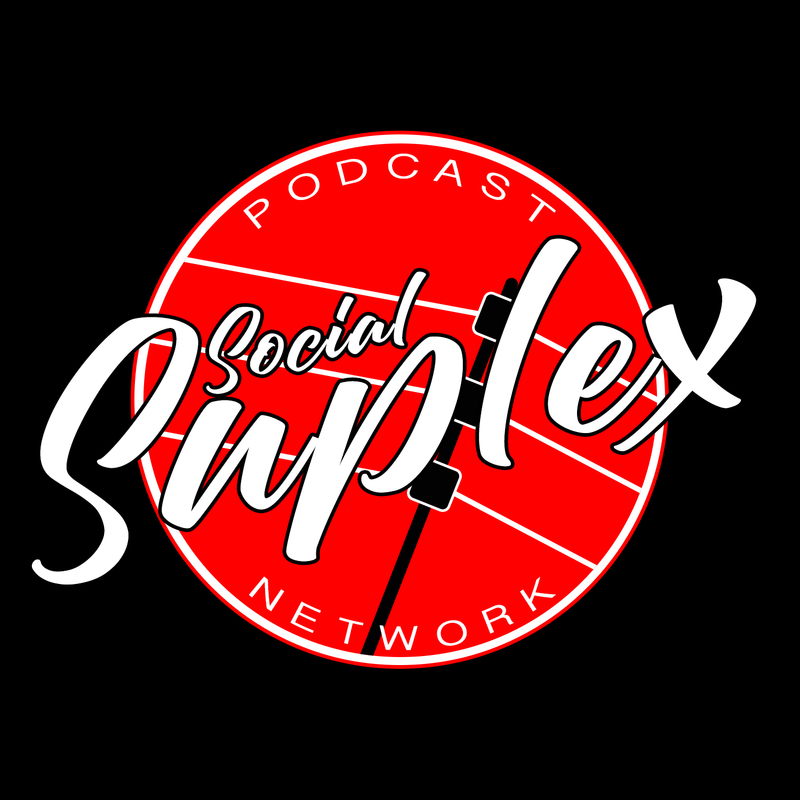 Check out the latest “Ricky & Clive Wrestling Show“ on the Social Suplex Podcast Network. Ricky, Clive, and Social Suplex Editor in Chief, Jeremy Donovan, have a bumper episode for you this week. We break down all the action from NXT Takeover Brooklyn IV, Summerslam 2018, and the fallout on this week’s Raw and Smackdown Live. 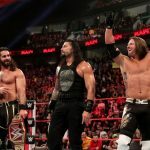 Title changes, disappointing squashes, controversial heel turns, and everything in between is discussed over WWE’s busy 4 days. As if the show couldn’t get any better, “Young Boy” Joshua Smith makes a run-in to take part in the WWE/NJPW crossover quiz.